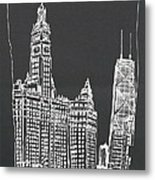 Chicago Wrigley And Hancock Buildings iphone x case by Robert Birkenes. Protect your iPhone X with an impact-resistant, slim-profile, hard-shell case. The image is printed directly onto the case and wrapped around the edges for a beautiful presentation. Simply snap the case onto your iPhone X for instant protection and direct access to all of the phone's features! There are no comments for Chicago Wrigley And Hancock Buildings. Click here to post the first comment. 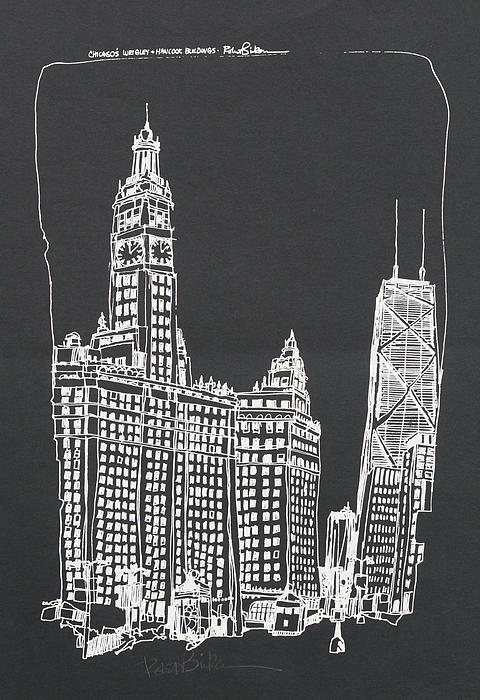 Chicago's Wrigley and Hancock Buildings as viewed from Michigan Ave. looking north - this is an original silkscreen print made from a drawing which I did. 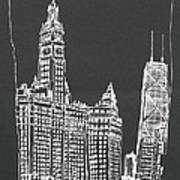 Note: This is printed on matt black paper with white ink - it is hand signed in pencil. 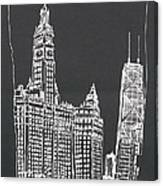 It is not an original drawing - but it is an original silk screen print - and it is not matted or framed. I hand printed this myself in the early 1970's.